Oslo Panorama, a photo by aslakt on Flickr. Fikk muligheten til å ta et kult panorama av Oslo i dag. Se det i full størrelse på flickr. Had the opportunity to take a "cool" panorama of Oslo today. View in full size on flickr. 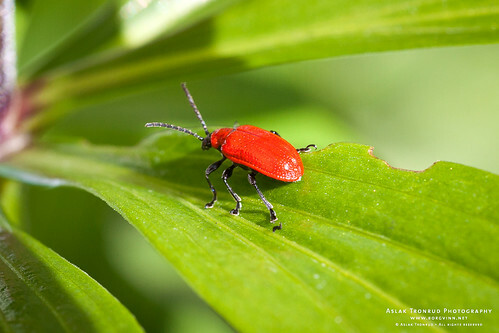 Scarlet lily beetle, a photo by aslakt on Flickr. This and six other images from the garden is uploaded to my flickr photostream. Ardie SS 31 Silberpfeil, a set on Flickr. Beautiful bike that parked outside our office, just had to take some snapshots of it. 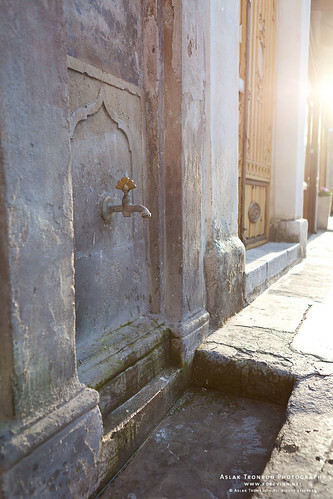 Water tap outside the Mehmet Aga Mosque, a photo by aslakt on Flickr. Posted some images from our holiday on Rhodes, Greece. 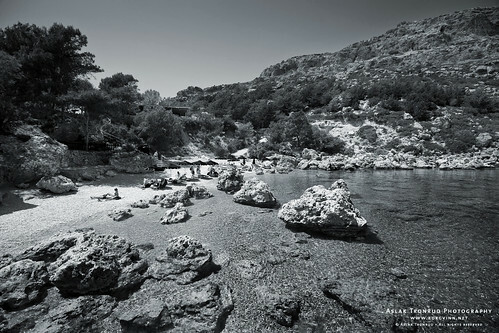 Anthony Quinn Bay, a photo by aslakt on Flickr. My second contribution to DPS's weekly assignment, this time "Nature Black and White" – only my holiday images to choose from. Found this one that I thought would work well in B&W.